Simply wanting to plan for the future. What might your will involve? Every will requires executors who will manage your estate after you have passed on. You should appoint executors who are trustworthy and competent to manage your affairs. This may be a spouse, a family member or a professional executor, such as a solicitor. Please note that an executor acting in a professional context may charge for their services, however, individuals acting as executors may still require a solicitor to advise them on the execution their role. If there are beneficiaries to your will who are under 18 at the time of your passing then the executors will have an additional responsibility to hold such inheritance until the beneficiaries reach the age of 18. This can become a significant undertaking as the executor will also power to use the fund responsibly, at their own discretion, for the benefit of the minors. You must gain any person’s permission before appointing them as an executor to your will. Your residuary estate is the remaining assets and funds which are left over once all bequests and associated costs (e.g. the funeral) and other debts have been paid. This can be left either to one person or divided between a number of people. It is usual for people to leave their residuary estate in whole to their partner on the condition that they are still alive, and to their children in the event that their partner is already diseased. These are the personal items which may or may not have financial value but are often of great sentimental worth. You may wish certain people to have particular items, rather than all your possessions being distributed as part of the residuary estate. You could provide for your personal chattels to be given to your executors to distribute as they see fit. It is possible to leave your house (or your share of a property) to your children whilst containing provisions to allow your partner to continue living in the house. This would prevent your beneficiaries from being able to sell the property whilst your spouse is still in residence. It is up to you how long this provision is to apply for. It may allow your partner to continue to reside in the property for the rest of their life, until they freely choose to leave or as long as they stay married. There are many consideration beyond those included in this article to take into account when drafting your will. This article is merely intended to indicate a few key points you may wish to consider. However, if you are considering drafting a will, or simply wish to know more about your options, please don’t hesitate to contact Campions Solicitors Nottingham and Derby for expert legal advice. 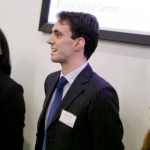 Ben recently completed the Graduate Diploma in Law (GDL), a qualifying conversion course. Before this he graduated in English Literature and Philosophy at the University of Sheffield. In the summer since leaving University Ben worked at a legal technology start-up developing contract review and risk analysis technology. He now works as a paralegal at the software design company Arm in Cambridge.